Hiba Saleem is a medical student at Imperial College, London and is a core member of the Doctorpreneurs team. She has organised various events for Imperial Pakistan Society. Hiba is a passionate supporter of the arts, culture and rising talent, and wants to engage young ambitious Pakistanis to grow this powerful community. Sahir Anwer stepped away from the family office in 2013 to learn and develop new skillsets and complete an EMBA. With his extensive network and experience of implementing key strategies for SME businesses, he is currently responsible for formulating business growth strategies for a boutique search consultancy based in London. Yasim Karimi is a young British Pakistani entrepreneur who has worked tirelessly to establish her reputation within the beauty industry. Her dedication, enthusiasm and zeal has come to manifest itself in the creation of “Yasmin Karimi” – the birth of Yasmin’s very own skin care brand. Yasmin is passionate about mentoring future young leaders of Britain. Ahlya Fateh is a director at BPF and was appointed as Managing Director of luxury lifestyle brand Amanda Wakeley in 2014; she was previously the Managing Director of Tata Naka for four years. 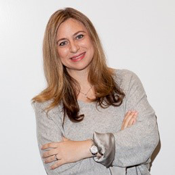 Ahlya began her career at PricewaterhouseCoopers before moving, in 1996, to Condé Nast Publications where she launched Vogue in Russia and spent 9 years at the helm of society magazine Tatler as its Managing Editor. She also serves as a mentor for the Young Professionals Programme at BPF. 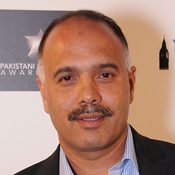 Shahid Azeem is an award winning British-Pakistani entrepreneur and philanthropist, and one of Surrey’s best known business leaders. In addition to a string of successful businesses, he has been named one of the Top 100 most influential Muslims in the UK by Royal Bank of Scotland.